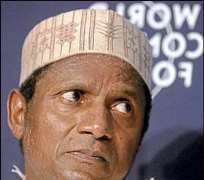 Huhuonline.com can report that for five years, all correspondence sent to government by the law firm, were neither acknowledged nor responded to, but as soon as our story captioned “Murder of a Nigerian diplomat: FG & Law firm in Money brouhaha” broke; Sickly President Umaru Yar`adua, days preceding his health hiatus, directed David Edevbie, his principal secretary to write to the Minister of foreign affair, Chief Ojo Madukwe directing him to critically examine the issues raised in Mr. Asu`s letter and advise His Excellency, Mr. President accordingly . “I write with reference to a letter dated 21 October 2009(copy attached), addressed to the office of His Excellency, Mr. President, from Mr. Edward Asu, and regarding the above mentioned subject matter”. “I should be grateful if you would critically examine the issues raised in the letter and advise His Excellency, Mr. President accordingly”. However, the lingering question now is will Ojo Maduekwe reverse the status quo and make appropriate recommendation that will serve as a guide to Mr. President's action, or will he prolong the hardship endured by the family of the slain diplomat/law firm by towing the ministry of foreign affairs five year dismissive stance, it is a wait and see game. As Huhuonline.com previously reported, the year is 2005. A Czech citizen allegedly loses over one million Euros in a 419 Nigerian National Petroleum Corporation (NNPC) investment scam said to have been masterminded by some Nigerian con men. Unable to recover his money, the Czech citizen storms the Nigerian embassy in Prague, Czech Republic where he opened fire, killing a Nigerian Diplomat inside his office in cold blood. The Federal Government through the Nigerian Embassy in Poland with concurrent accreditation to the Czech Republic retains a group of Nigerian lawyers to represent the Nigerian Government and the family of the deceased; in the substantive matter of MUDr. Jiri Pasovsky, Case No. 45 T 21/2004 at the Municipal Court in Prague, as well as before appellate jurisdictions in the murder trial. The case goes to trial and the suspect charged with the killing of Mr. Michael Lekare WAYI is sentenced to eight (8) years imprisonment. Outraged by the paltry sentence, the lawyers inform the FGN of their intention to appeal within the statutory 8-days deadline. The FGN says wait for instructions from Abuja; the lawyers also ask to file a civil suit against the culprit and the Czech government for damages to the deceased's family. They were again advised to wait until the statutory three-year limitation has run out. To crown it all, the FGN has not honored its obligations towards the Counsel they retained and after four years of trying to navigate the bloated Nigerian bureaucracy, the Presidency informed the lawyers that the FGN was not aware that one of its Diplomats had been killed in the Czech Republic, let alone being familiar with the retention of the legal services in question. This is 2009 and the President of the Federal Republic of Nigeria is Umaru Musa Yar'adua; the Foreign Minister is Ojo Maduekwe and the Justice Minister is Michael Aondoakaa. Together with officials of the Nigerian Embassy in Poland and the Ministry of Foreign Affairs, these cast of clowns who are actors in the unfolding tragic-comedy of errors. Nigerians are not in doubt that the people pretending to be managing the affairs of the nation are irresponsible. Our people know for a fact that Yar'adua's PDP government are doing far more than disservice to the people, far more selfish than the nation has ever known and far more unreliable and undependable to put in anything for the good of the nation; They do not care about anything; they just steal, steal and steal. The facts of the five-year long saga remain intriguing and reveal a government that has absconded its responsibilities towards its citizens as well as immobilism and lack of coordination amongst various government departments – from the Presidency to the Ministry of Foreign Affairs (MFA) to the Nigerian Embassy in Poland. The Federal Government is now facing a payment order lawsuit to the tune of 150,913.21 Euros being unpaid legal fees for professional legal services rendered by Law Allianz firm retained to represent the Federal Government of Nigeria and the family of the deceased; Mr. Michael Lekare WAYI in the substantive matter of MUDr. Jiri Pasovsky, Case No. 45 T 21/2004 at the Municipal Court in Prague, Spalena as well as before appellate jurisdictions in the murder that took place inside the Nigerian Embassy, Prague, Czech Republic. Documents obtained exclusively by Huhuonline.com indicate that on February 10, 2005, the Nigerian Ambassador to Poland, Nuhu N Bajoga Audu duly contracted the Law Allianz firm by signing a certificate of authority authorizing the attorneys to hold brief for the government and the deceased in the case. The task was executed as mandated and the lawyers have been engaged in a frustrating exercise to get payment for their services. In another petition addressed to President Yar'adua's office, the lawyers explained that after four years of futile efforts to get the Nigerian government pay their bills, they were left with no other option than to file the payment order lawsuit before the statute of limitation runs out. The petition, signed by Edward Asu Esq, lead counsel, enjoined President Yar'adua to use is high office to seek an amicable solution to the matter. “We reiterate that it is not our intention to humiliate or tarnish the image of Nigeria but as already explained herein, we have run out of all other options and had to institute legal proceedings due to the statute bar provisions, even though we tried our utmost best to refrain from brining legal action. Given the circumstances we rather choose to exhaust all avenues for consultations and amicable resolution of the matter which have proved unsuccessful till date because all our demands have not been dignified with an acknowledgement or response including our second demand for intervention to your esteemed office”.